In this episode, BCB host Annie Osburn speaks with developmental editor Jennifer Hager and author Dave Richards, who will share highlights of their collaboration on Richards’ 2014 novel, If I Could Give You a Day. 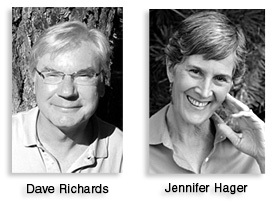 Hager and Richards will headline the Field’s End event at 7pm on Tuesday October 21 at the Bainbridge Public Library. Richards shares advice for writers on how to be best prepared to work with an editor, while Hager offers insights on what to look for when searching for one. A member of the Northwest Independent Editors Guild, Hager works on book-length projects with an eye on the “big picture” aspects of the story. She can be contacted through the Editors Guild website. Richards has sold numerous options for scripts, but when the idea for his book came, he dropped everything to write his first novel. Look for the Kindle Edition of If I Could Give You a Day at Amazon. 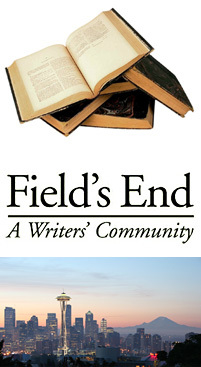 Learn more about “Working with an Editor: Taking Your Book to the Next Level,” and other Field’s End events at the Field’s End website. Credits: BCB host and text author Annie Osburn; BCB audio editor: Tim Bird.